One of the only bright spots of the economic downturn is the price of gas. With stocks and oil prices plummeting, gas prices have been in a virtual freefall for several weeks. Gas prices under two dollars a gallon have come to parts of Northern Virginia, including Gainesville. Several stations along Route 29 have prices in the $1.97 to $1.99 range. After hitting a record high average of $4.11 per gallon in July, drivers have seen prices drop steadily. 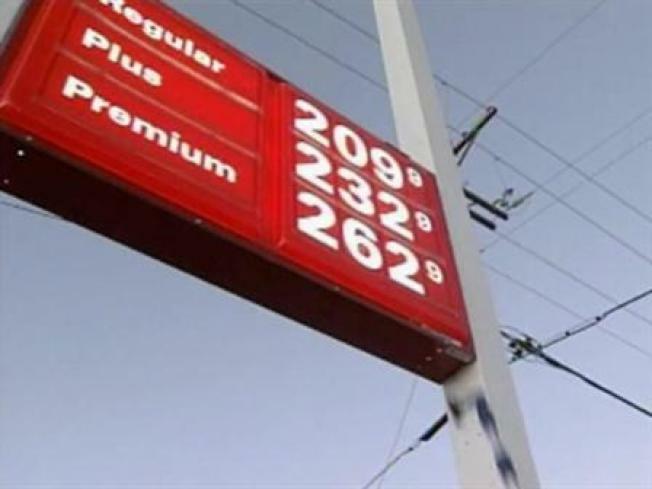 Thursday marked the 50th straight day of falling gas prices. The national average is now $2.35 per gallon, down nearly 40% from the summer. AAA spokesman John Townsend says we can expect prices to stay low, as long as the price of crude oil continues to drop as expected. These lower prices could mean that more drivers can afford to hit the road this holiday season. "I'm going home for the holidays, which is Florida," driver Yolanda Johnson told News 4. "It's just because of these gas prices. They're so much better now."